I spent the last few days staining the rest of the woodwork for the bathroom. 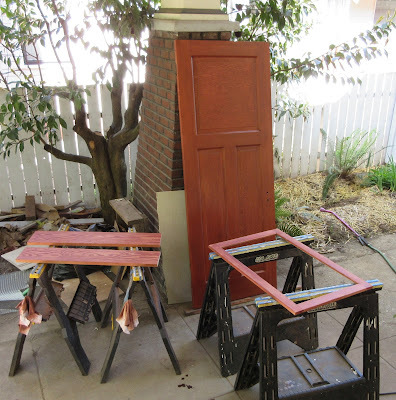 The door is stained and lacquered. Today I put on both coats of stain on the medicine cabinet door. 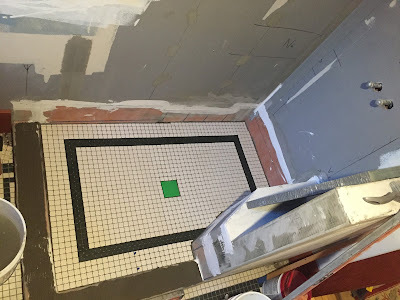 We're waiting for the beveled mirror for the medicine cabinet door before we install it. I took this photo before the second coat of stain on the small pieces. I actually finished both coats today. 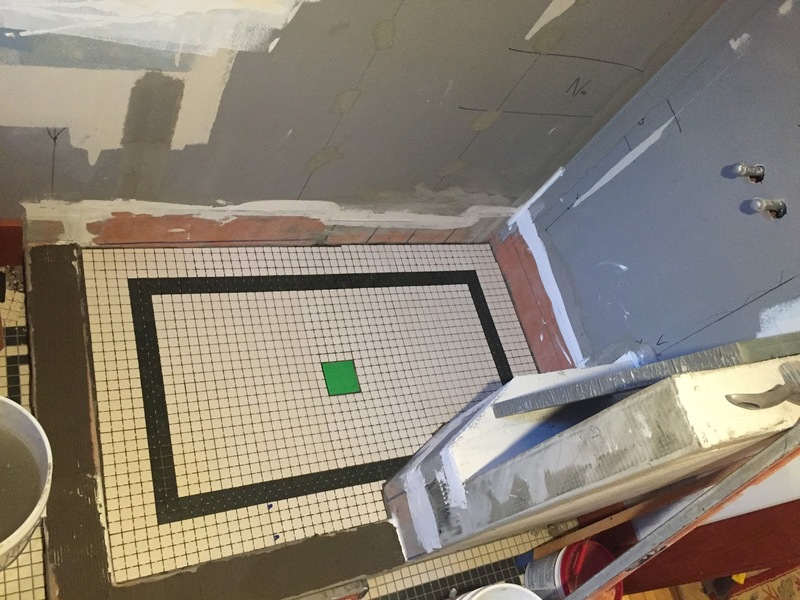 Barrett came by and finished the shower floor today. That wood looks amazing, especially considering how it used to be painted! Thank you. Yeah, it is very satisfying to be able to transform a painted door into a stained door. It takes a lot of work, but I think it's worth it.